Birth Defects - body, causes, How Do Hereditary Factors Cause Birth Defects? A birth defect is an abnormality in the body structure or chemistry of a newborn child. It may be caused by hereditary factors (that is, by genetic causes), by environmental influences that affect the embryo or fetus in the mother's womb, or by a combination of factors. Often, the cause of a birth defect is unknown. Each of us has genes * that are inherited from our parents. The genes occur in pairs along threadlike bodies called chromosomes * , which are located in the nucleus * of each cell in the body. Genes determine our inborn characteristics, or traits. These traits include how we look and how the chemical substances in our bodies function. In the case of birth defects, the genes also may determine abnormalities if they are faulty in some way. It works this way: A child inherits two copies of each gene, one from the mother and one from the father. If a defective gene is dominant, a child who inherits even one copy of it will have the defect. That is because the defective copy "dominates," or overwhelms, the normal copy inherited from the other parent. But if a defective gene is recessive, the child would have to inherit two defective copies—one from the mother and one from the father—in order to have the defect. A person who inherited only one defective copy would be healthy but could pass the defective copy on to his or her own children. These kinds of inheritance patterns cause what researchers call autosomal (aw-to-SO-mal) birth defects. Examples of autosomal dominant birth defects are Huntington's disease, a nervous system disorder, and Marfan syndrome, which is characterized by tallness, elongated bones, and heart problems. Some birth defects, such as Huntington's disease, may not show symptoms for many years. * chromosomes are thread-like structures inside cells on which the genes are located. * nucleus is the part of the cell that contains its genetic information. Birth defects also can be caused by environmental factors, either alone or together with faulty genes. "Environmental" here refers to the environment in the mother's uterus, or womb, rather than to the earth's environment. However, scientists are studying the possible influence on birth defects of poisons in the earth's environment. Some birth defects can be diagnosed while the child is still in its mother's womb. A procedure called ultrasound, which uses sound waves to produce an image of a fetus on a screen, can detect some malformations. For example, a defect called spina bifida, in which a part of the spinal cord is exposed, can be discovered by ultrasound. An estimated 515,000 people worldwide died of birth defects in 1998. Almost 93 percent of those deaths were in low-and middle-income nations. Many birth defects can be diagnosed by a doctor's physical examination of a newborn baby. Other tests, including x-rays, may be ordered if doctors suspect a birth defect; blood tests can detect certain disorders of the blood or body chemistry. Many infants with defects can develop normally if they receive prompt treatment. Thalidomide was prescribed for pregnant women in Europe in the late 1950s and early 1960s until it was linked to phocomelia in thousands of newborn babies. Fortunately for Americans, thalidomide never was sold in the United States because the U.S. Food and Drug Administration refused to approve it. An employee of this federal agency, Dr. Frances Kelsey, insisted that thalidomide's safety had not been proven. Many people think Dr. Kelsey saved hundreds or even thousands of children from severe birth defects. 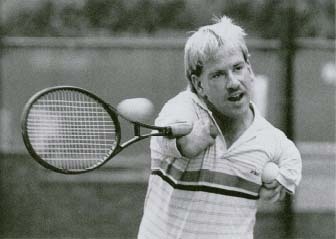 Professional tennis instructor Butch Lumpkin was born with the short arms and deformed fingers characteristic of phocomelia, which resulted from the use of Thalidomide during pregnancy. U.S. Centers for Disease Control and Prevention (CDC). CDC posts several fact sheets about birth defects at its website. The March of Dimes Birth Defects Foundation, 1275 Mamaroneck Avenue, White Plains, NY 10605. The mission of this national organization is to improve the health of babies by preventing birth defects and infant mortality. Its website offers information on the cause and prevention of birth defects.